Sadly, Grand Theft Auto 6 is not coming in 2019 even if you did see an in-game pop-up ad in Grand Theft Auto 5 from "Rockstar Games" that said otherwise. Rockstar confirmed that the announcement for GTA 6 is a hoax. 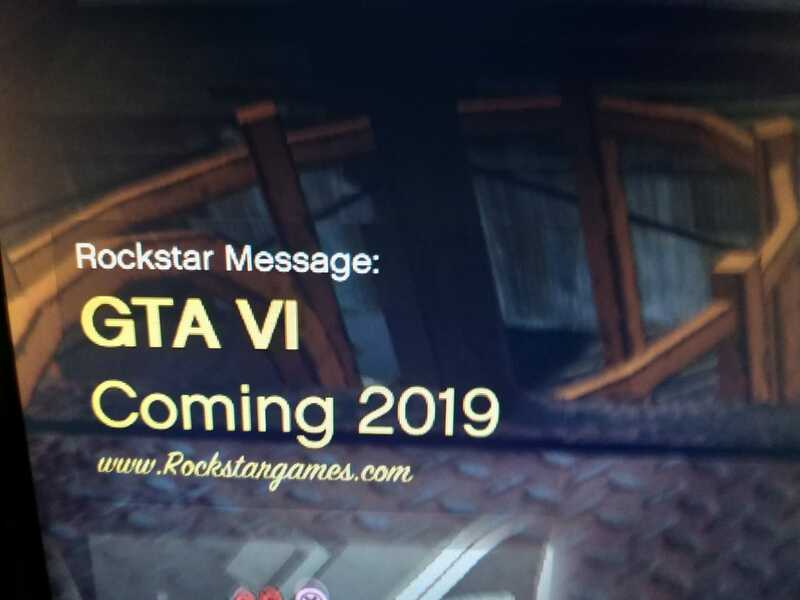 On Reddit and the GTA Online forums players posed screenshots of in-game pop-up messages in GTA 5 that seemingly announced GTA 6 would be coming out in 2019, despite no prior warning or announcement of the GTA 6's release. Unfortunately, it was too good to be true as Rockstar confirmed on Twitter that the pop-up messages are a hoax made with mods and, "not an official message or statement from Rockstar Games." Skeptics on Reddit and the forums who saw the screenshots of the pop-up came to a similar conclusion that a hacker managed to exploit the Rockstar Social Club message system. This is because the screenshots appear to be from a PlayStation 3, PC, or Xbox 360 version of GTA 5 Online which allows mods, albeit only for single-player modes. With Rockstar busy working on the release of Red Dead Redemption 2, it made little sense that a company known for big event-style video game announcements would reveal that GTA 6 would be coming next year via an in-game message. Rockstar Games is currently focusing on Red Dead Redemption 2, the sequel to Rockstar's open-world western game. Red Dead Redemption 2 is set to launch on October 26 for PS4 and Xbox One. For all the trailers, news, and info released so far check out our complete Red Dead Redemption 2 guide. Tagged with GTA,	GTA Online,	News,	PC,	PlayStation 3,	Rockstar Games,	Xbox 360.